We recommend these Mandala Tones for Acoustic Guitar. 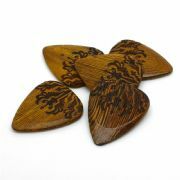 Thai Cassia is a medium hardness timber, which is relatively frequency neutral. Although it will add some depth to the tone of most acoustic guitars, it will do so without dramatically altering the frequency of the tone. Mandala Tones are based upon the Classic 351 shape. They are typically 2.5mm thick chamfering down to a playing tip at 0.7mm thick. 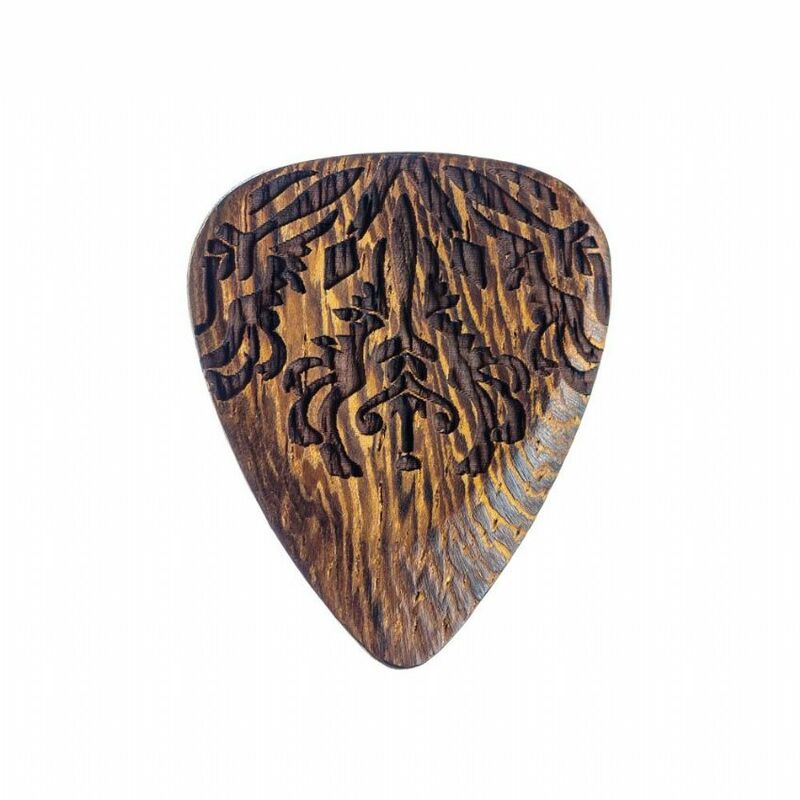 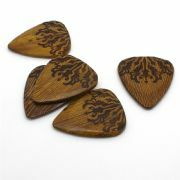 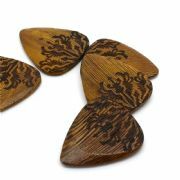 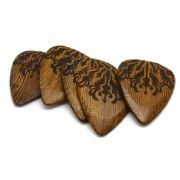 They then have a Mandala pattern etched with a laser on one side of the plectrum to give you a subtle grip feel. 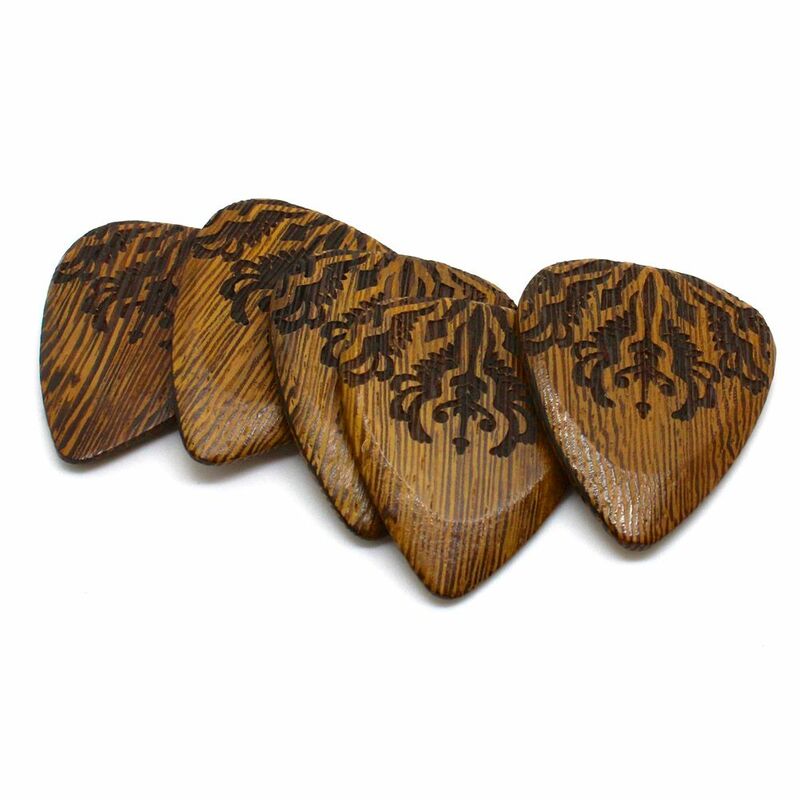 This pack contains 1 Monkey Mandala Tones Guitar Pick.